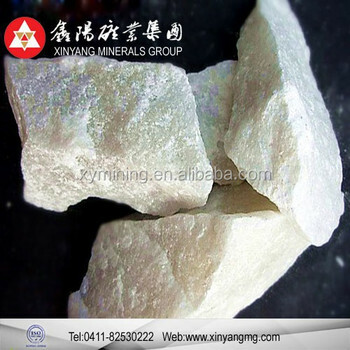 We, Xinyang Minerals Group, located in the beautiful coastal city of Dalian, is the largest manufacturer & supplier of magnesium mineral products in China. The group actively expands domestic and foreign markets, currently has established long – term – stable supply & demand relationships with more than 50 countries and regions, such as Europe, America, Southeast Asia, Russia, Japan, Korea, India and so on. We not only has dozens of mines, including magnesium hydroxide mine, magnesite mine, marble mine, potassium feldspar mine, dolomite mine and chlorite mine, but also owns a magnesium hydroxide mine – NuanheMine, of which the Proved Reserves is the largest in China. Total reserves of all levels of magnesium mines exceed one hundred million tons, with thick orebody, high grade and stable quality features, continues providing high – quality, safe and stable products for the development of industrial in China. Magnesium hydroxide is decomposed in the temperature range of 340℃ - 490℃, the absorptive capacity of which is 783.6 J/g. The initial decomposition temperature of magnesium hydroxide is much higher than aluminum hydroxide, with strong thermal stability, excellent flame retarding & smoke suppression effect, especially applicable to the Polyolefin materials with high process temperature. Magnesium hydroxide can be used as advanced refractory materials, best raw materials for metal magnesium refining, materials of flame retardant, fertilizer, soil amendment chemicals, water treatment chemicals and so on. Main application of the magnesium hydroxide series products are as below. Dandong Xinyang Mineral Co., Ltd.